I buy zines and never read them. I am a zine hoarder. I buy them for a bunch of different reasons. They're handmade. They're handmade by my closest friends. They're pretty and provocative. I like the idea of someone spending their time sewing zines instead of playing on the internet. They're pretty cheap in the grand scheme of things. I like how they look filling up my IKEA cardboard magazine holders. I typically see a zine—at a show, a reading, a bookstore, the trunk of someone's car—buy it, then put it in the holder and move on to something else. They pile up, I feel increasingly guilty, and I never do anything about it. Until now. Starting September 1st I'm launching a personal project called #30Days30Zines. I am challenging myself to read a zine each day of September and post a review about it here. I'm making this project public to hold myself accountable and in the hopes that it might inspire readers to Give Zines A Chance. I'm excited to delve into some zines I've been holding onto for a few years now, as well as some recent acquisitions (thanks Twitter!). I've always wanted to make my own zine, so I'm also approaching #30Days30Zines as some low-key market research. 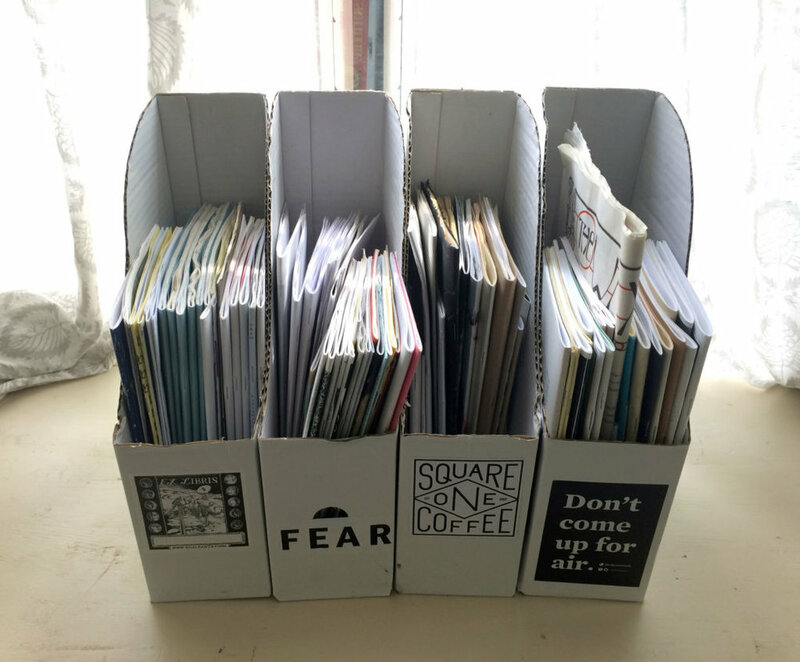 I'd love to hear about your favorite zines—feel free to leave a comment or send me a tweet!